(This is no real indictment of Henry and co.; those idiots voted The Stooges’ Raw Power as the worst album of the seventies). I felt honoured spending the time to write a review to pay homage to a monolithic album which returns to me like a faithful friend, year after year. Sometimes, I feel like The End of Silence is Dorian Gray and I am the portrait. 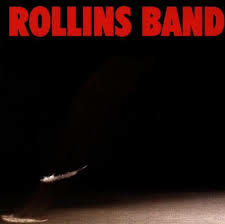 Anyhow, Weight has an official review and a slew of customer comments, proclaiming it the ‘great’ Rollins Band album. This is completely wrong and I have produced another review to correct the discrepancy. I hope you enjoy it and feel motivated to go listen to The End of Silence. Weight is a distinctly disappointing album. The Rollins Band are unique in rock, indeed, any genre of music. Henry was the original Max-Cady-come-Caliban figure, plumbing the deepest recesses of the alienated masculine psyche. The band’s former release, The End of Silence, was lit by Henry’s strikingly articulate lyrical catharsis. The rest of the band came swinging and roaring behind him, creating the ultimate platform to forge performance art out of raw suffering. The band’s former release, The End of Silence, was lit by Henry’s strikingly articulate lyrical catharsis. The rest of the band came swinging and roaring behind him, creating the ultimate platform to forge performance art out of raw suffering. Weight, the follow-up, features Rollins trying a new vocal style out of necessity. Henry really is a man who has sacrificed himself for his art, and his voice has been consecrated to his listener. Years of screaming finally forced him to adopt a style that, while bombastic, lacks the raw, acerbic tang that lent its original urgency and impact. Years of screaming finally forced him to adopt a style that, while bombastic, lacks the raw, acerbic tang that lent its original urgency and impact. Secondly, the songs are a much different affair. Gone are the convoluted cylinders of grinding sound that characterised its predecessor. Weight is comprised of shorter songs, more along the lines of the funk-metal style that dominated the mid-nineties. While The End of Silence featured songs that came forward like voices of characters in an avant-garde play, each one subtly different and presented as a different aspect of the intelligence at its centre, Weight presents one unified voice that sounds a little too much like a high-school guidance counsellor. The album is not without good songs, however. Volume 4, the chronicle of a protagonist struggling to find meaning in the world after the violent death of his friend, features some of Henry’s best writing to date. Wynton Marsalis once said that ‘Charlie Bird doesn’t come to you; you have to go to Charlie Bird.’ Weight is the ‘commercial’ Rollins Band album for people who couldn’t make the trip to The End of Silence. Henry came down the mountain, but ultimately the listener is weaker for not having made the trip. This entry was posted on August 16, 2013 at 9:30 pm and is filed under Journalism, Music, Observation with tags Caliban, Cape Fear, Charlie Bird, Dorian Gray, Henry Rollins, iTunes, Max Cady, Raw Power, Rolling Stone Magazine, Rollins Band, Shakespeare, The End of Silence, The Stooges, The Tempest, Weight, Wynton Marsalis. You can follow any responses to this entry through the RSS 2.0 feed. You can leave a response, or trackback from your own site. You missed the point of the album, especially the second side. This was a concept album. The theme was about torment, giving up on life and your fellow man, and then finding the inner strength to come up out of despair to become the person you are meant to be. If you believe this album to be “too commercial” or a “sellout”, then you only listened to “Liar”.